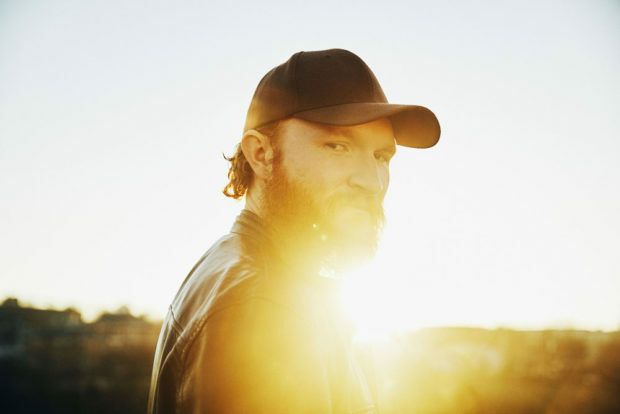 Country artist Eric Paslay delivers a powerful punch as a renowned, Platinum-selling, Grammy nominated hit songwriter, artist and performer. He has celebrated five No. 1 hits including his smash lead single from his critically acclaimed self-titled debut album, “Friday Night.” The Temple, Texas native has earned numerous songwriter award nominations including Grammy’s Best Country Song, ACM’s Song of the Year twice and the CMA Song of The Year for “Even If It Breaks Your Heart.” Eric was also honored with Grammy nomination as an artist in 2016 for Best Country Duo/Group Performance for “The Driver”- a collaboration with friends Charles Kelley and Dierks Bentley. A true artist’s artist, USA Today called Paslay “flat out-brilliant” and American Songwriter named him an influencer of country music. Paslay’s highly regarded in Nashville’s rich songwriting community for his creativity. When he plays in town, there’s invariably a cadre of artists and writers dotting the audience. Part of that is admiration for his music and voice, and part is appreciation for his friendship. Paslay had four #1 singles as a songwriter for other artists – the Eli Young Band’s Grammy-nominated “Even If It Breaks Your Heart,” Love and Theft’s “Angel Eyes,” Rascal Flatts’ “Rewind” and Jake Owen’s “Barefoot Blue Jean Night” – before he nabbed his first #1 hit as an artist with “Friday Night.” Ironically, he wrote “Rewind” the same day that “Barefoot” was named ASCAP’s most-performed song of the year. Paslay’s self-titled debut album established him as an artist of enormous potential, yielding three hits. The infectious #1 hit “Friday Night” earned gold certification, “Song About A Girl” bounced with happy hooks and references to the Beatles and Carl Perkins, and “She Don’t Love You” provided an aching portrait of an emotionally-damaged woman and the man who brought her down. The song was honored at the 2015 Nashville Songwriters Association International (NSAI) Awards as one of the “10 Songs I Wished I’d Written” and placed #6 on Popdust’s all-genre Top 20 countdown for the year. While the songs he wrote for his fellow acts were rewarding in their own way, the opportunity to play his music for an audience that was already familiar with them was an even greater experience. Cool because it means Paslay is connecting, which was the point when he chose music in the first place. Born in Abilene, Texas, and growing up in Temple, Texas, he was motivated by two pursuits: music and baseball. He sang and played guitar with a youth group that met on Wednesday nights, and he played first base in high school. Until his senior year, that is. Many of the team’s games were on Wednesdays, and he had to pick which meant more – the guitar, or the ballpark. Those days were essential in building his patience. Baseball is a game of inches – one slight change in the speed of a pitch or the spot where a bat meets the ball can be the difference between a lineout and a game-winning home run. Music isn’t that much different. Paslay attended Middle Tennessee State University in Murfreesboro, Tennessee, in the mid-2000s, and he took an internship 30 miles away at Cal IV Entertainment, a music publishing house on Nashville’s Music Row. It wasn’t always glamorous, but it was still inviting. Paslay garnered a recording deal with EMI. Once his debut album hit the marketplace – and the radio – life changed significantly. Paslay became something of a road warrior as a special guest performing on many high profile tours including Tim & Faith and Garth Brooks’ tour as well as his own concerts across North America and in the UK. Eric has also played shows as part of the CMA Songwriter Series. Eric is busy working on new music and renovating yet another house in Nashville as an avid DIY craftsman. He is a spokesperson for Habitat for Humanity, along with President Jimmy & Rosalynn Carter, Garth Brooks & Trish Yearwood, and the Scott Brothers, and partnered with them for their award-winning “Home Is The Key” campaign. Eric and his wife Natalie live in Nashville and welcomed their first child, daughter Piper Lily last December.